Paul Samuelson’s Economics is the very definition of the “standard text in its field”: according to the New York Times, it was the nation’s best-selling textbook for 30 years. Originally published in 1948, it’s still selling briskly more than 60 years later. Generations of budding economists and countless other college graduates have learned the basics of supply and demand, interest and capital, market structure, and just about everything else concerning economics, from Samuelson. It’s been said that he “created” modern economics; that his biggest contribution to the field was, in essence, changing the very way in which economics was done. Samuelson helped move the field away from the instinctive and toward a more rigorous standard, based on theories that could be demonstrated mathematically. 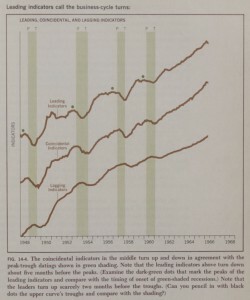 Given the Institute’s scientific, quantitative orientation – its expectation that assertions must be based on evidence – MIT was the perfect place for Paul Samuelson to do his work in economics. He taught at MIT for over 50 years beginning in 1940; in 1966 he was named an Institute Professor, which is the highest faculty honor bestowed by the Institute. In 1970 he became the first American, and the second person ever, to be awarded the Nobel Prize in Economics. Tellingly, he was also recipient of the National Medal of Science. 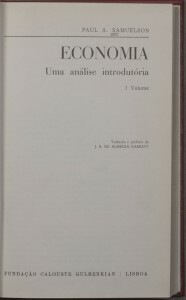 We’re featuring the 7th edition of Economics, from 1967. The same year also saw publication of a Portuguese translation, and there’s nothing unusual about that. Currently in its 19th edition in English, the book has been translated into a surprisingly large number of languages. 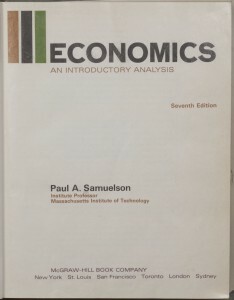 The MIT Libraries own copies of Samuelson’s Economics in Russian, French (4 editions), Greek, Slovak (2 editions), Chinese, Portuguese (3 editions), German (2 editions), Spanish (2 editions), Polish, Japanese (2 editions), Czech, Vietnamese, Hungarian, Indonesian, Swedish, Croatian, Dutch, Turkish, Hebrew, Italian, and Arabic. 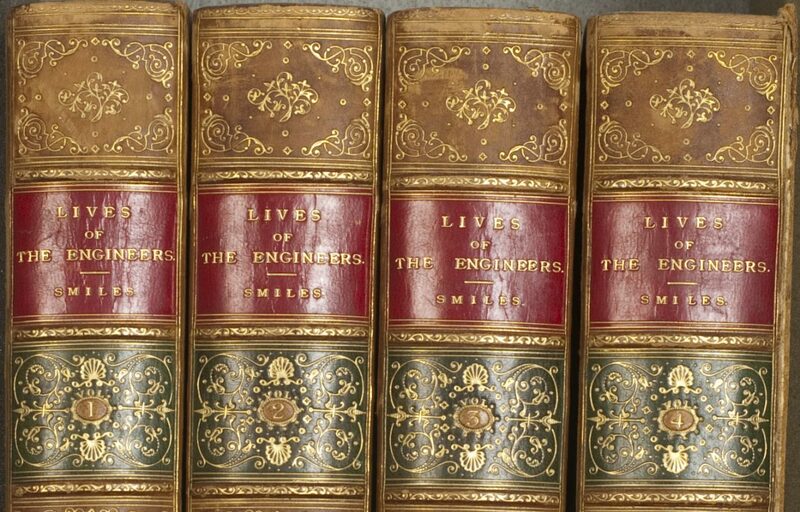 In total the book has appeared in more than 40 languages.